What a cute read! I enjoy Kady Cross's books so much. They're so fun and easy to get lost in, and the historical details and steampunk aspects combine to give this book a unique storyline. There's two storylines going on in The Girl With the Windup Heart: Mila's quest to become independent, and Finley's struggle to save Griffin, who's been captured by The Machinist. Both of the storylines were intriguing and held my attention. Mila, who's a somewhat new character, is charming and funny. Although I loved the drama and the inevitable romance between her and Jack Dandy, I felt like it probably could've been resolved much sooner if they just sat down and had a serious conversation. But I suppose we wouldn't have much of a plot if that happened. ;) Mila needed to go off on her own, join the circus, and get a taste of adventure. And the Jack/Mila romance really is so adorable - Jack is so sweetly protective and one of my favorite characters, plus he has some of the best lines. Actually, Jack reminds me a lot of Captain Hook in Once Upon a Time; they both struggle over whether or not they're good enough for the women they love. Finley and Griffin's goal to defeat The Machinist has been going on throughout the whole series, so it was nice to finally see it get resolved. They're such a sweet couple, and while the romance is present, it's balanced out by lots of action and suspense over how Finley can free Griffin. There were definitely some nerve-wracking moments! But it was hard sometimes to go back and forth between the two separate storylines - Finley/Griffin and Mila/Jack. It almost seemed like there was too much going on at once. I also found it a little confusing to remember all the characters and their storylines/pasts. With each book in the series (this is the fourth), we get the point-of-view of a different character, along with the points-of-view of previously introduced characters. In this book, Cross does a good job overall of including enough details that I could remember most of the different characters and their relationships to each other, but it's still a lot to keep track of. Even though a couple minor things bothered me, such as all the characters and all the little storylines, this series had a great ending and everything was resolved perfectly. I'm going to miss all the characters and their adventures! 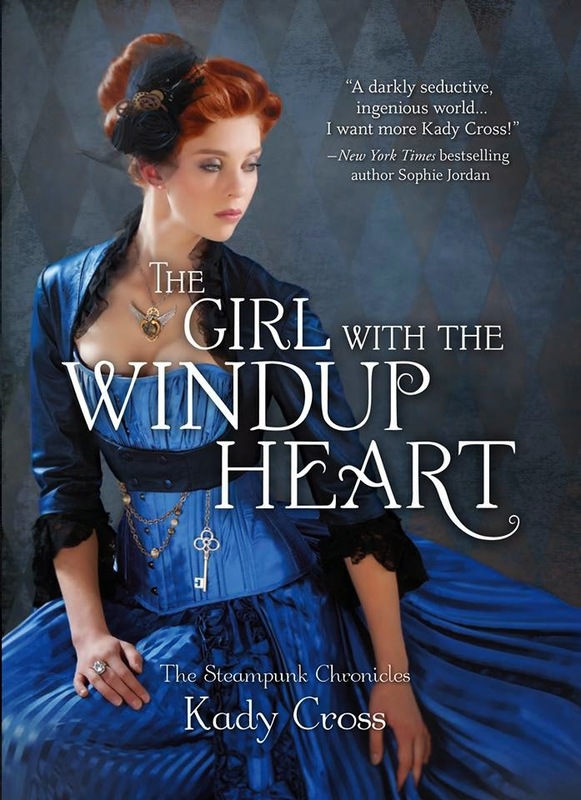 If you're a fan of historical fiction or steampunk, definitely check this fun series out.